Thanks to Shane Gibson, I’ve recently made the switch from TweetDeck to HootSuite last week and I couldn’t be happier. This is the best Twitter client I’ve used to date. It has many advantages over Tweetdeck, the most important of which is that it’s browser based. 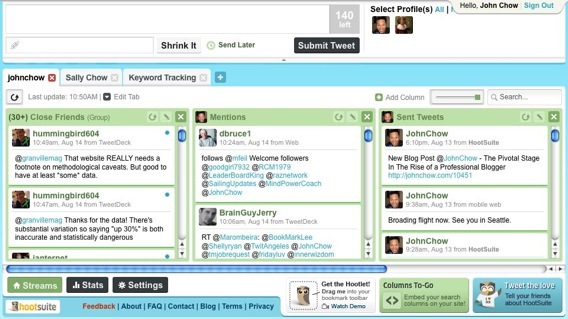 Being a browser based Twitter application means I can use HootSuite from any computer and not just my own. HootSuite also uses way less resources than TweetDeck but offers additional features like timestamp tweeting and stats so you can find out how many people clicked on your links. If you’re running TweetDeck, or any other Twitter client, give HootSuites a try. I think you’ll like it a lot.